Perfect case trimming is an essential step in accurate & reliable reloading. 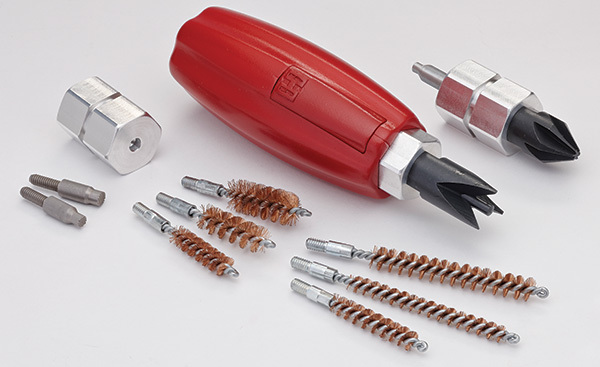 Hornady reloading equipment provide all the tools required for perfect case trimming. 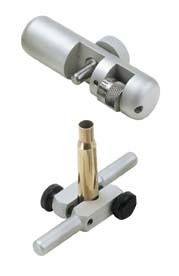 The ergonomic Lock-N-Load® Quick Change Hand Tool features a dual-sided chuck that allows for quick changeover of popular case preparation tools like chamfer, deburr, primer pocket reamers and cleaners, brushes or other tools with 8-32 threads. Includes 3 dual-sided chucks, chamfer/deburr tools, large and small primer pocket cleaners and neck brushes for the following calibers: 22 cal, 25 cal/6mm, 270 cal/7mm, 30 cal, 35 cal/9mm and 45 cal. No other case trimmer in this price range features a micro-adjustable cutting head! Based on the proven design of our earlier case trimmer, this new model is packed with many other valuable features Hornady customers have been asking for. Thanks to the unique way the case is locked in place in the shell holder, all trim lengths are accurately measured from the base of the cartridge, with no variation due to rim thickness, etc. You get the same trim length every time. Max trim-to length is 3.4 inches. 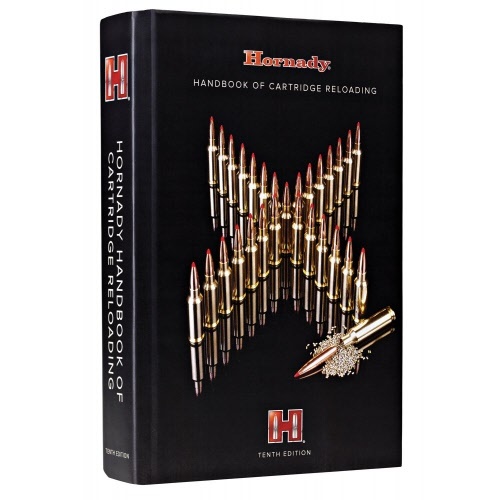 Includes the seven most popular pilots: .22 cal., 6mm, .270 cal., 7mm, .30 , .38 cal., and .45 cal. UNIQUE ONE FINGER CASE CAM LOCK A light touch of the knob locks the case in place, rock solid; another touch releases it. No need to crank the locking knob. Holds the case square with the cutter for precision trimming. A light touch of the knob locks the case in place, rock solid; another touch releases it. No need to crank the locking knob. Holds the case square with the cutter for precision trimming. New, larger cutter trims cases up to .50 caliber in diameter. Made of ultra-hard, super-sharpened tool steel that keeps its edge practically forever. Easily removed for resharpening or replacement. Change settings from longer to shorter in increments of 1/1000"" without ever moving the case. This is an extra cost with other trimmers but is included with ours. The redesigned handle fits your palm, and the taller frame means you won’t bang your knuckles on your bench when trimming. The power adapter for your Cam-Lock Trimmer allows you to use a battery-operated screwdriver instead of muscle power to drive your trimming. The adapter replaces the hand crank for easy operation. 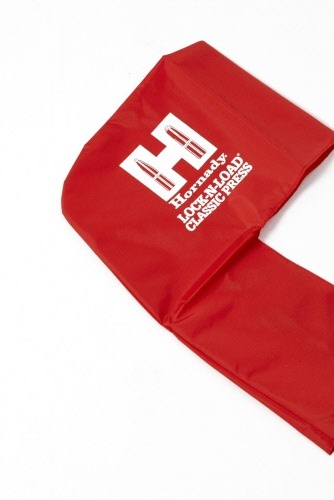 Hornady’s new case neck turning tool is the only one at this price range with a cutter adjustable in 1/1000" increments to trim the outside of the case neck to absolute uniformity. The cutter adjustment dial has graduated markings in 1/1000"" increments for incredibly precise trimming of the outside of your case necks. Keeps an edge practically forever, but can be removed for sharpening or a replacement blade. Precision ground bevel won’t cut shoulder. Special O-ring keeps tension on the cutter adjustment knob. The cutter stays exactly where you set it. 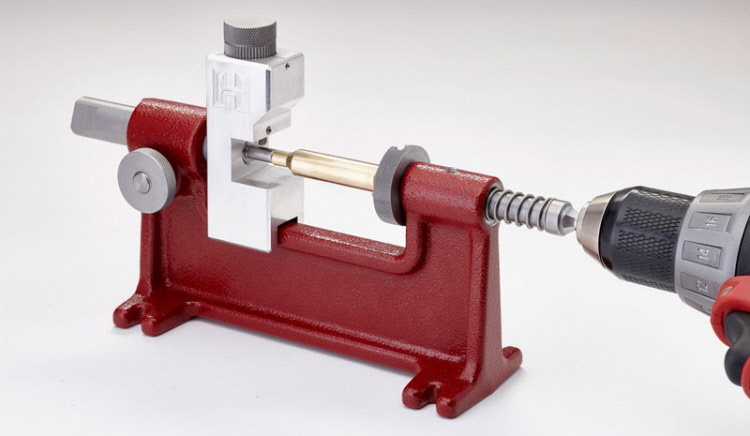 With a wide variety of mandrels, Hornady’s new neck turning tool can accept cases of virtually any diameter. Each neck turn tool comes with a 22 cal, 6mm, 6.5mm, and 30 cal mandrel. Spend less time at the bench and more time shooting!